Worker organizing in the South has always been especially difficult. Some even consider the South a lost cause regarding workers’ rights due to the relative weakness of most unions and the relative strength of institutional racism magnified by a centuries-long relationship with slavery and Jim Crow. James J. Lorence’s The Unemployed People’s Movement: Leftists, Liberals, and Labor in Georgia, 1929-1941 convincingly challenges the notion that Southern white workers were incapable of collective, concerted action with African Americans. His analysis focuses on the early 1930s’ Great Depression era through the emerging economic recovering of the early 1940s due to an increasingly robust wartime economy. Lorence vividly describes the emergence of communist-led Unemployed Councils and independent unions in the early 1930s. He highlights the Communist Party’s uniquely focused efforts to organize a deeply impoverished and oppressed African American community – a community largely ignored by the broader Georgia labor movement and the Socialist Party. In fact, the Georgia AFL (American Federation of Labor) was often more concerned with maintaining jobs and wage rates for its largely white union membership and paid very little attention to organizing the unemployed, especially African Americans – who, if organized, often found themselves in segregated unions. Lorence refers to the Socialist Party of the early 1930s as an “empty vessel, hopelessly handicapped” by a “conservative old guard” unwilling to challenge internal racism, and unable to see the larger struggle against racism generally as central to the class struggle. Lorence writes that the Communist Party took a decidedly different approach, and instead challenged racism head-on in Georgia. 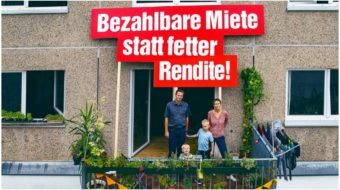 As Lorence puts it, “both urban and rural workers, the human casualties of a broken economy, refused to submit quietly to their fate” and eventually “embraced collective action to redress their grievances,” largely due to Communist Party agitation and organizing. In fact, he writes, the Communist Party “stubbornly clung to its insistence on racially integrated” meetings, rallies and civil disobedience and as a result it became known as “the major advocate for the African American jobless,” earning the respect and admiration of liberal African American organizations like the NAACP and Urban League, as well as Black churches and fraternities. Party leader Angelo Herndon, who would soon find himself locked away in a Georgia jail cell, “observed [by 1932] that no unemployed groups were then active, membership had declined, and mass organization work had faltered” due to a mix of external repression and internal disunity. Ultimately, the party would prove unable to grow as much as in neighboring Alabama; the party there had been instrumental in founding and organizing the Sharecroppers’ Union and was able to grow considerably through that organizational form. Georgia’s Communists challenged the racist application of New Deal federal works programs and other relief in their state. In Georgia, “a state hostile to the very concept of relief,” private charities like the Red Cross, the Salvation Army and local churches “shouldered most of the welfare burden,” Lorence writes, while employers, large landowners and political elites made every effort to obstruct federal relief for the unemployed. Often local business owners, big landowners, textile mill operators and white civic leaders colluded with racist relief agency officials to deny African American laborers relief and thereby force them into a state of semi-slavery or starvation. 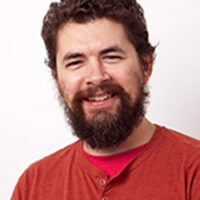 While Lorence’s book focuses on more than the role of Communists and the Communist Party, the CP is cast as a major – possibly the decisive – factor in Georgia’s unemployed movement and among African Americans organizing for social and economic justice in general. 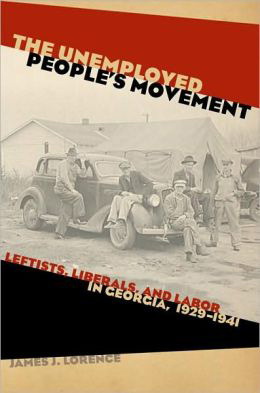 The Unemployed People’s Movement: Leftists, Liberals, and Labor in Georgia, 1929-1941 is well researched and highly readable. It tells a largely forgotten tale of the Communist Party’s leadership role in not only challenging racism, but also developing the long-term tactics and strategies that would ultimately lay the groundwork for what would eventually become the civil rights movement of the 1960s. Lorence is also the author of The Suppression of Salt of the Earth: How Hollywood, Big Labor, and Politicians Blacklisted a Movie in the American Cold War. That book and The Unemployed People’s Movement: Leftists, Liberals, and Labor in Georgia, 1929-1941 are highly recommended.